The Association of Junior Veterinary Surgeons (AJVS) has petitioned President Akufo-Addo to, as a matter of urgency, see to their immediate engagement by the relevant agencies. The AJVS is also calling on the president to ensure that the second batch of house officers are paid for the period they served their housemanship and the third batch of house officers are given their offer of employment and paid accordingly. According to AJVS, which has over 52 unemployed Ghanaian and foreign trained veterinary surgeons, it has exhausted all means of getting authorities to address their problems, even to the extent of getting in touch with the Minister of State in-charge of Agriculture. “We humbly appeal to you, Mr President, to address this bewildering array of problems of the veterinary services as soon as possible,” they said. Ghana currently has just 32 veterinary doctors, two-thirds of which occupy administrative positions although the country needs not less than a 1,000 veterinary surgeons and not less than double that number (about 2,000) of para-veterinarians (technicians and nurses) in public veterinary service. Dr Kwasi Agyei Safo, Chief Petitioner & President of AJVS, bemoaned the situation, adding that even when there was an opportunity for employment by the Minister of Food & Agriculture, about 20 retired veterinary doctors were contracted by the ministry instead of employing the young surgeons. “We, as junior veterinary doctors, see this as a betrayal although their contracts even if we were employed with them would add nothing to the significance of the need of staff in the service,” he said. Dr Agyei Safo further mentioned that the veterinary housemanship training, which is supposed to be a mandatory exercise for all graduated veterinary doctors before being accepted by the Veterinary Council of Ghana as competent to practice veterinary medicine in the country, “is languishing into limbo”. “It is not regularised at all, and two batches of veterinary house officers do not know their fate: the very first batch of locally-trained veterinary doctors were only paid their housemanship salary by your government just in September 2017 since the beginning of their training in September 2015. The second batch has completed their training and has not been paid. The third batch do not know whether they are on housemanship training or not since they were only posted by the Veterinary Council to proceed on the training without offer letters of employment,” he stated. 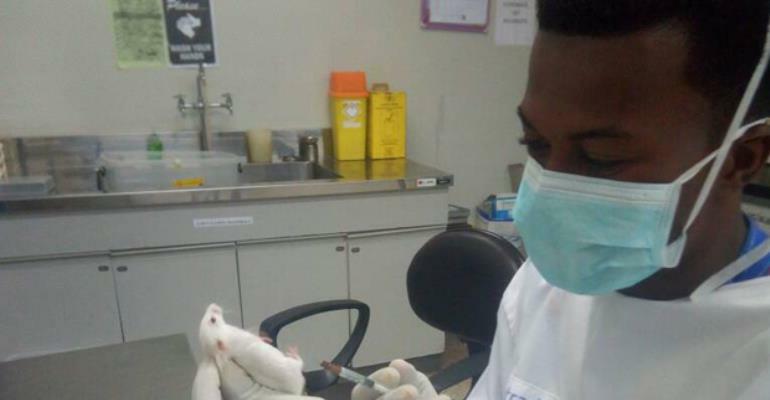 One of the foreign-trained veterinary doctors who spoke with DAILY GUIDE on basis of anonymity expressed his disappointment at the lack of enthusiasm on the part of government to engage young veterinary doctors, who, unlike others, have returned home after studying abroad on government scholarship. “Government took us abroad, trained us and we came back with first classes and we have to settle for jobs we are overqualified for,” he reiterated. AJVS, thus, reiterated their call for President Akufo-Addo to intervene on their behalf. The veterinary doctors' plea follows protests by some 200 graduate nurses who picketed at the Health Ministry on Monday asking government to employ them. The graduate nurses, like the veterinary doctors, said several appeals made to the Ministry of Health to engage them after they completed school in 2016 had not yielded results.